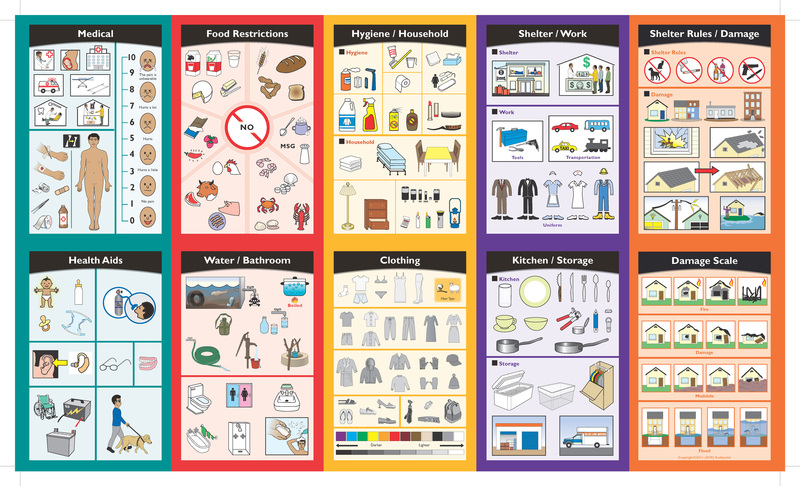 This Disaster Assistance Visual Language Translator offers aid workers and victims the ability to communicate food, clothing, shelter, hygiene, health and child care needs by pointing to carefully developed pictures and graphics. 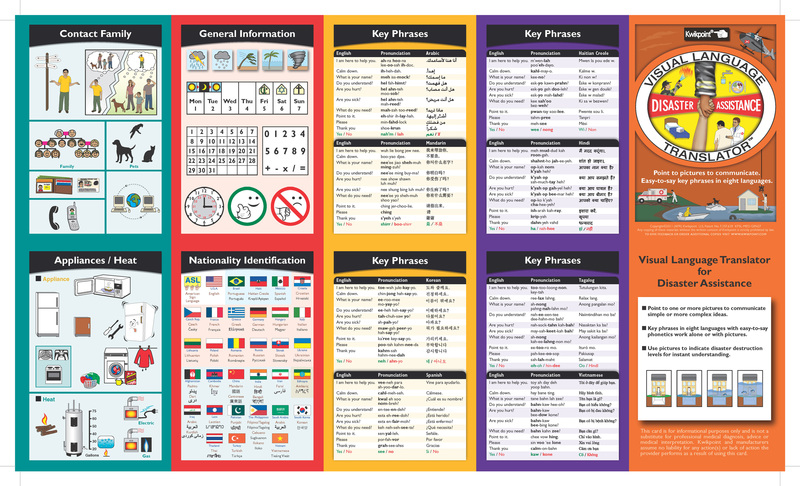 Contains basic assistance phrases phonetically spelled in eight different languages, and has a nationality identification chart to assist in finding an appropriate interpreter when necessary. Key phrases in Arabic, Korean, Mandarin, Spanish, Haitian Creole, Hindi, Tagalog and Vietnamese. The compact, hinge-laminated format makes it easy to handle and wipe clean, and fits most pockets for quick access.